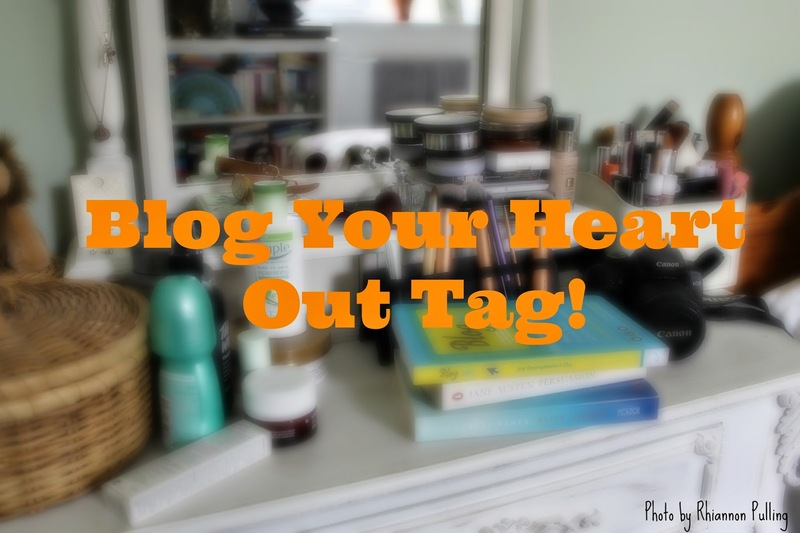 Everything But The Kitchen Sink: The Blog Your Heart Out Tag! Who/what encouraged you to blog? I guess it started after seeing my friend start up her own beauty blog and I thought 'why not try it out?!' I'd read blogs for ages before I set up my own, so I knew I was going to start one at some point. No one really knew about my blog for a good year or so and I didn't put it out there on social media until a few months ago, so there was no one there to encourage me except myself and other bloggers! I think it's more my passion for beauty and fashion that drove me to start my blog and share my thoughts and experiences. How did you know what topics to blog about? There was never a set agenda, it was more or less whatever I felt writing about! I started out writing about fashion primarily which then grew into beauty and lifestyle pieces - all of which I love blogging about. 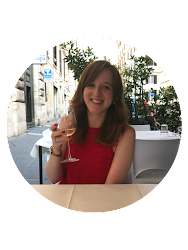 As most bloggers do, I pick ideas up from reading blogs, reading the news and I actually thought of one whilst filling my car up at the petrol station the other day! Just shows that blogging topics come out of nowhere! This is quite hard because I do share a lot on my blog. I think quite a few people do this too, but I'm a memory hoarder. I've got cinema tickets going back to the early 2000s, holiday maps, concert tickets, random bits of wrapping paper, tube maps from the London Underground (as the artwork changes regularly), straws from cocktails I've had on holidays, magazine and newspaper articles and so much more. I keep almost everything that has a memory attached to it - that's probably one of the nicest things to hoard! I'm following on from Kate and go with my blogging style! I'd guess I'd say organised, friendly (I hope!) and cover just a bit of everything. Okay, that is more than three words, but you know where I was going with it! What do you love doing when you're not blogging? Obviously, shopping. Scouting out new beauty styles or fashion trends with my friends is one of my favourite things to do. Polished off with a Starbucks and Krisy Kreme donut and my shopping trip is complete! Seeing my friends and family is at the top of my list. I'll always try and catch up with people in my spare time and go out together. I'm a total film junkie, the whole cinema experience is just amazing and the film making is increasing in quality with each and every film. I'm actually so excited for the future of cinemas and films. Books take up a huge part of my relaxing time, there's nothing better than a book that can take you to another world. Baking and keeping fit are two other guilty pleasures too! Phew, that's quite a lot!! Look forward to reading your answers girls!